December 5, 2010 - Dixie Region SCCA held the 23rd Annual Allies vs. Axis Solo Autocross on a chilly and windblown December Sunday. Dixie Region commemorates Pearl Harbor Day with a Solo event on the Sunday closest to the anniversary of Pearl Harbor Day, December 7. 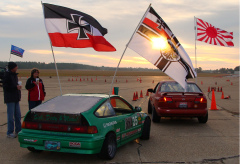 This event is a team autocross, with American and British ("Allies") vehicles compete against Japanese and German ("Axis") cars. The official rules say that Italian cars race for the Axis in the morning and the Allies after lunch. Traditionally, French cars are allowed to register and grid, but as soon as a German car cranks up, they go hide in the woods until the event is over. Swedish cars are officially neutral, and they do not score points for either side but are allowed to park in a corner and sell stuff to both sides at exorbitant prices. The Axis was confident that 2010 was finally their year. The odds were stacked against the Allies with 46 Axis entries versus only 34 in the Allied camp. Early in the "war", the Axis powers notched up several class wins, and things looked bleak for the Allies. Axis Powers winners were: •	Simon Kim, 2005 RX8, C Stock •	Mark McCallister, 2008 MazdaSpeed3, D Stock •	FastPhil Currin, 2000 Celica GT, G Stock •	David Upchurch, 1999 Porsche 996, A Street Prepared •	Kevin Kipta, 1972 Porsche 911T, B Street Prepared •	Steve Seymore, VW Wabbit, Street Touring •	Steven Tillman, 1992 "UglyMazda" Miata, Street Touring S •	Kenneth Oswald, BMW 325, Street Touring X •	Rick Therrien, 2008 BMW 328is, Street Touring U •	Philip Cheshire, 1992 BMW 325is, X Prepared •	Bryan "BB Cone King" Batchelor, Subaru WRX STi, E Prepared •	Butch Cusack, 2008 Subaru WRX STi, Novice Street Modified •	Richard Kessler, 2008 Maxda MX5, Street Touring R.
The Allied team then "dropped the big one" taking wins first in the "ground pounder" classes and following up with wins in the stock classes and the aircraft carrier division. Allied class winners were: •	David Carroll, 2004 Corvette Z06, Super Stock •	Dale Mediate, 1990 Corvette, A Stock •	Rob Ippolito, 1942 P-51 Mustang, Street Modified •	Russ "Smokey" Clark, 1965 Ford Mustang, Pro-C Prepared •	Brian Meyers, 2007 Mustang GT, F Stock •	JD "Nigel" Kemp, 2011 Impala U.S.S. Harry S. Truman, B Stock •	Gayle "Super Novice" Spears, 2011 Impala U.S.S. Theodore Roosevelt, H Stock •	JK Jackson, Allied Forces Supreme Commander, 1972 TR6, C Street Prepared •	Edward Raiford, 2003 Dodge SRT4, D Street Prepared •	James Bell, 2008 Mustang GoaT, E Street Prepared •	Chris Moore, 1972 TR6, F Street Prepared •	David Ball, 1990 Corvette/Republic P-47 ThunderBolt, Super Street Modified •	Tracy "Smudge" Lewis, 1965 Mustang Sledge Hammer, B Prepared •	Sean Ittner, 2000 Mustang, C Prepared •	Thomas Mayo, 1973 TR6, F Prepared •	George "I Finished Dead Last?" Bowland, in a stolen Ford Focus, A Modified •	Robert "Fireball" Lewis, 1965 Mustang/P-38 Lightning, B Modified •	Thomas "I broke after one run and still won" Austin, 1960 Austin Mini, D Modified •	Perry Matthews, 1965 Factory Five MKIII, E Modified •	Bob "I beat George Bowland in a Focus?" Boeggeman, in a borrowed Ford Focus, F Modified •	Timmi "Pride of Ireland" Atteberry, 1990 Margay G-man, F125 •	Alyssa Lewis, Beryl Kart, Formula Junior A •	Colin Atteberry, 2007 Easykart, Formula Junior B. As in the dark years of 1941 to 1945, the event seemed to be going to the Axis powers, but the Allies came together with a big push at the end to take the overall victory for the forces of Goodness and Light once again. American Iron like Corvettes and Mustangs, with a powerful force of TR6s and a "Tiny but Fierce" Austin Mini took wins for the Allies. For the 23rd year in a row, history has been upheld; the Allies prevailed and took 23 class wins against the Axis 13. Never before in the course of human history have so few triumphed (Triumph-ed!) over so many. In addition to class win trophies, the "Crappiest Run" award is given to the driver who, well, has the crappiest run. This is a "people's choice" award, with all entrants asked to vote early and often for their favorite driver. This year, Crappiest Run ballots were counted with an overwhelming win going to STX Axis driver Aditya DEECH Madhavanand for his superb exhibition of driving skills (?). As part of this event, Dixie Region collects toilet paper and cash donations for the Leon County Shelter for the homeless. Like last year, this part of the event was a resounding success, with plenty of donations for the Shelter given by the entrants. So with many thanks to all that participated and donated to the cause in 2010, Dixie Region looks forward to the 24th annual event next year. 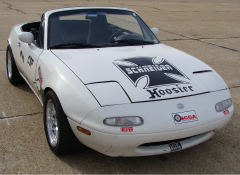 December 2010 - The PAX times have been recalculated for 2011 and are posted by the SCCA Chicago Region. The PAX (Professional Auto-X) Index has been used by SCCA and other clubs for years. You may notice a PAX time listed on the results page. It is a handicapping system that attempts to account for performance differences between car classes, allowing the drivers' performances to be compared. A PAX factor is assigned to each class; the faster the class, the higher the factor. The fastest cars have a PAX factor of 1.000; other PAX factors are a percentage based on performance potential relative to the fastest cars. Each driver's actual time around the course is multiplied by their car's PAX factor to calculate their PAX time. This PAX time is also called their indexed time or factored time. PAX times can then be compared across classes. 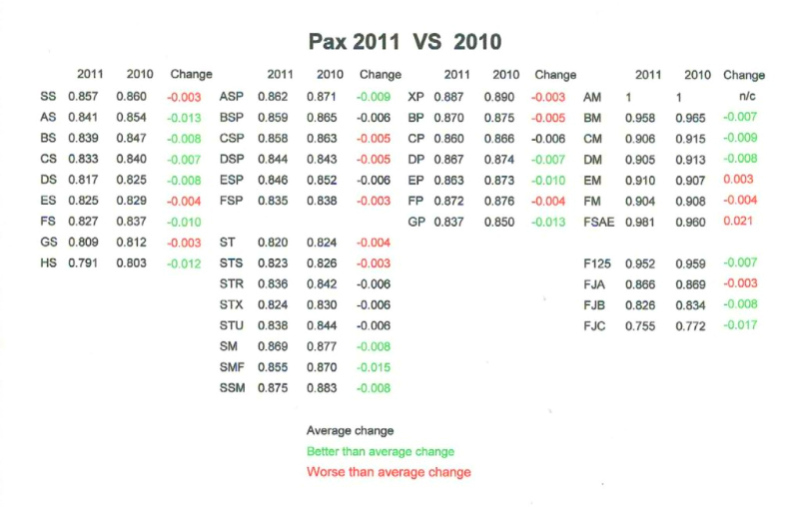 See 2011 vs. 2010 PAX Index comparison. 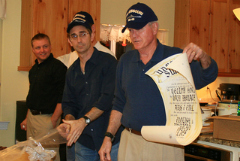 December 2010: Dixie Region members elected the 2011 Board at the December membership meeting. Mike Lollar - Regional Executive, Russ Clark - Asst. R.E., Tom Austin - Past R.E., Stephen Tillman - Secretary, Robert Mayfield - Treasurer, Bryan Batchelor - Director, Jamie Bell - Director, Rob Ippolito - Director, Robert Lewis - Director, Wilson J. Richardson - Director, Chris Yearwood - Director. December 2010 - Be part of history in the making. In memoriam of Pearl Harbor Day, the start of America entering World War II in December 1941, the Dixie Region Sports Car Club of America presents the 23rd Annual Allies vs. Axis Solo on Sunday, December 5, 2010 at South Georgia Motorsports Park in Adel, GA. This is the one Solo event you don't want to miss. Allies vs. Axis 2010 - Make history. * Registration for Allies vs. Axis is open at MotorsportReg.com. * 2nd Annual "Wipe Up The Competition" at Allies vs. Axis! Please help us by donating the most requested and needed item for the Tallahassee-Leon Shelter in serving the homeless. The number one donation needed by The Shelter is of all things, toilet paper. They use 48 rolls of toilet paper a day, over 1400 per month. 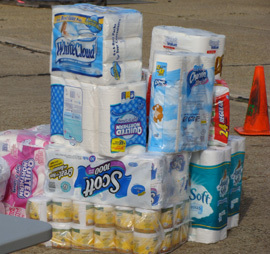 The Dixie Region SCCA goal is to donate a month's supply of toilet paper to The Shelter. Please bring a package of toilet paper on the day of the Allies vs. Axis event. If you can't bring toilet paper, we will accept donations of $10 and we will purchase the toilet paper for you. If every entrant donates a 24-roll package of toilet paper, we will exceed our month supply donation goal. Please be a part of the Dixie Region supporting The Shelter. August 2010 - Due to weather predictions for rain and insufficient entries, the Evolution Performance Driving Schools, scheduled in August were cancelled. Another school is planned for March 2011 just before the Dixie National Tour. Farewell Novice DUDE! Welcome Novice DUDES! July 2010 - As is the case with many associations, clubs and even sometimes work, it's not surprising to find 10 percent of the people doing 90 percent of the work. Observe any Solo event and you can pick them out. Dixie member Marko Horn is one of those 10 percenters. Until last month, Marko served as the club's Novice Chief welcoming newcomers to every Solo event, giving them valuable Solo tips, his wisdom, experience, and early familiarization walks through Solo courses. 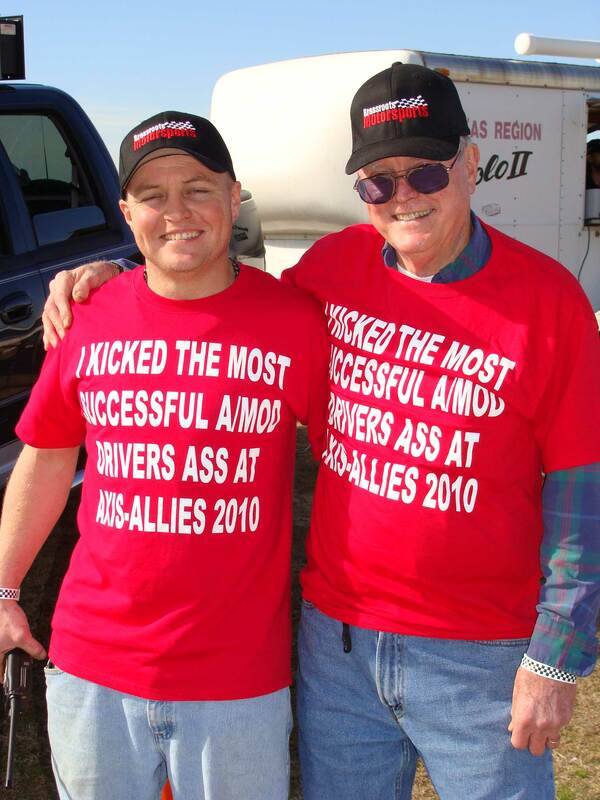 He was always promoting Dixie events to other SCCA regions and friends. In many ways Marko acted more like a Dixie Ambassador than just the Novice Chief. To many of us he was fondly known and welcomed as "Dude!". Unfortunately for us, Marko recently finished his Ph.D. study at FSU and has moved his family west to teach in Jackson, Mississippi. This left huge Novice Chief shoes to fill. Dixie will miss our Dude, though he promises to return again playing WWII German Ace Bubi Hartmann at the Allies vs. Axis event this December. Despite Marko's departure, fortunately a group of four Dudes, two seasoned and two young(er) but experienced, stepped up. JD Kemp, Chris Yearwood, Stephen Tillman, and Wilson Richardson are the official new Novice Chiefs. Although there won't be another like Marko, the new Novice Dudes are enthusiastic and available to all newcomers. They already created a Newbie and Novice Corner board on the Dixie forum, so if you have a newbie question visit with them there. You'll likely see one or all of them at a Solo event running the Novice walk through. Don't be surprised when they are all together at the same time someone yells out "Dudes!". July 2010 - Carl O. Bennett, former Dixie Regional Executive throughout most of the 1990s, passed away Sunday, July 18th, unexpectedly of a heart attack. Carl was the club's leader for so many years at one time was dubbed the Dixie R.E. for life. When Carl wasn't running his All Day and Night Plumbing business in Tallahassee, Florida for the past 30+ years, back in the day he was tinkering with his Mazda Rotary pickup truck or his second gen RX-7 Solo and Time Trial race car. Lately he rode his bike daily on the St. Marks Trail. He had a huge presence and an even bigger heart. He was one of the kindest, most decent people you'd ever have the pleasure to know. Carl was a true southern boy through and through. He always had a memorable way of telling a story or an announcement. For instance, when Carl became Safety Steward, he made a tradition of making the same announcement at driver meetings with his unmistakable southern accent, "If the throttle sticks, turn off the key, take away the fire, and it will eventually come to a stop!" It was so memorable to this day someone makes the same announcement as best they can in Carl's voice during event driver meetings. One time Carl shortened a 12 step recovery program by declaring during an awards presentation while shaking his head, "I don't need no 3 step program, I'm addicted -- to racing!" During many of the now infamous Allies vs. Axis events Carl often donned a Samurai warrior outfit to lead the Axis team in the Solo event. He was a good friend with everyone. Carl is survived by his wife Gail and his two grown children Jason and Jennifer. More photos and personal stories are posted on the Dixie Forum. June 26, 2010 - Dixie members manned a booth and displayed their cars in the 1st Annual Sears Car Show at Governor's Square Mall in Tallahassee, FL on Saturday June 26th. Despite the scorching afternoon heat, about 100 cars entered the free show. Sears had something for everyone, with classes from antiques, sports cars, muscle cars, trucks, street machines and many more. 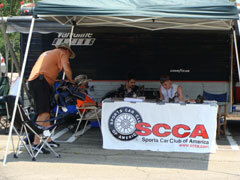 Show participants and visitors stopped by our booth for info about the club and SCCA activities. 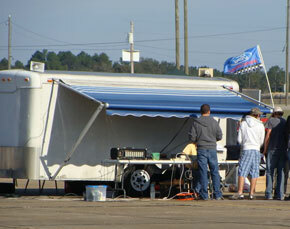 Several members from Tally Imports entered the show and joined us under our tarp for shelter from the afternoon sun. We picked up lots of swag from Sears and the many vendors at the show including free food and drinks from Advanced Auto Parts. When the show winners were anounced, JK Jackson won best sports car having entered his wife Chris' gorgeous 1972 Triumph TR-6. We made a few new friends from the show and hope to see them at a Dixie event in the future. June 19-20, 2010 - Dixie hosted a Solo Novice Drivers School on Saturday June 19th at Spence Field in Moultrie, GA. Sixteen entrants picked up valuable Solo tips from the local pros such as determining the fastest line, where to appex a corner, proper slalom technics, threashold braking, and more. The weather was hot but it was worth it. On Sunday the students put their skills to the test at Solo Event # 4. Marko Horn designed the course and ran the event as a "mini tour" where the morning runs ran in one direction while the the afternoon runs ran in reverse. Drivers sum of their best time from the morning and afternoon determined their total time for the day. April 2010 - As most have heard by now, the Dixie Region equipment trailer was stolen last December (see "Dixie Equipment Trailer Stolen!" story below). Our uninsured trailer and nearly all of our solo equipment was lost. A horrible way to end the 2009 season and a huge challenge to start 2010. We announced the loss and set up a replacement Equipment Fund to accept donations. Word spread quickly and what happened next was as nearly as shocking as the theft. The donations started to arrive, large and small, from SCCA members and friends near and far. South Carolina Region donated their old timers and $1000 in cash. Other Regions donated cash. Anonymous donations arrived. Houston Region donated radios. Then Texas Region donated their old trailer. As a result, in less than four months since the loss, Dixie is back to where we were before the theft. The generousity received has been overwhelming. And we are also happy to report we are in the process of obtaining the paperwork necessary to register and insure our new trailer and equipment in the event this should happen again. All the best to everyone who saw us through this challenge. March 13-15, 2010 - Howard Duncan, SCCA Vice President of Rally, Solo and Special Programs, announced during the drivers meeting that the 299 in attendance at the 2010 Dixie National Tour set a new record for the largest Solo event in the Southeast. And we may have had the longest course as well - a .71 mile track at South Georgia Motorsports Park in Cecil, GA was designed by Event Steward Robert Lewis. Despite the rain on Friday and the chilly and windy weather throughout the weekend, drivers came from as far away as Washington, California, Ohio, New York and Pennsylvania to compete. 17 Dixie Region members competed in the Tour and picked up 8 trophies. Dixie trophy winners include: David Marcus, 3rd place in C Stock; Carol Cone, 2nd place in Street Touring Sport Ladies; Robert Lewis, 2nd place in C Prepared; Russ Clark, 3rd place in C Prepared; Bryan Batchelor, 1st place in E Prepared; Marko Horn, 3rd place in E Prepared; Tom Austin, 1st place in D Modified; and Alyssa Lewis, 2nd place in Formula Junior A. A big thanks to Tom Shuman from Atlanta Region for cooking up the huge barbeque Friday night and all the volunteers and workers that made the event possible. Complete results can be found at the SCCA website. Plenty of terrific photo album links are posted on the Dixie Forum. 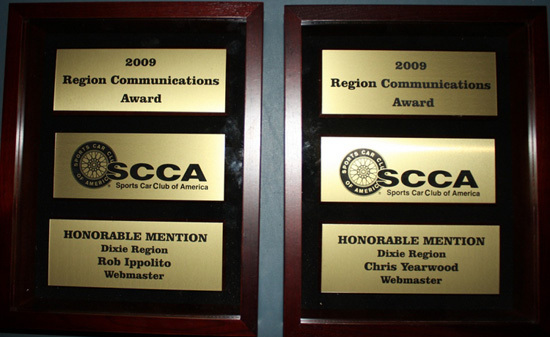 January 2010 - During the SCCA National Convention in Las Vegas last January it was announced the Dixie Region website earned an honorable mention for a Region Communication Award for web and newsletter excellence. The Dixie website was redesigned in early 2009 by Chris Yearwood, Rob and Tracy Ippolito. The design was such that the home page could serve as our club newsletter with monthly stories and announcement updates. Chris and Rob worked with Tracy, a professional web designer, to create the site. Rob and Chris maintain the site while Tracy provides consulting when needed. February 2010 - Thirteen entrants participated in the first Dixie RallyCross held at the Steeda Autosports campus in Valdosta, GA on Sunday, February 28th. As the event began a racing line developed quickly on the soft soil that created ruts in some areas of the course, proving challenging for the RallyCrossers. Many of the cars were dedicated RallyCross machines while a few street cars entered as well including a Honda Civic driven by Ron Foley who won the Stock Front Wheel Drive class. 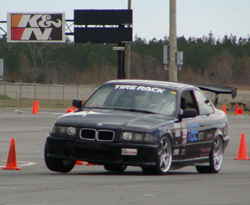 Allison Hirsch entered her clean BMW 328i to win the Stock Rear Wheel Drive class. Charles Wright won Prepared Rear Wheel Drive in his RallyCross prepared 1981 Mazda RX-7. 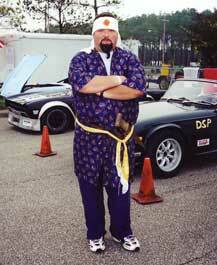 Sam Risberg placed first in his Prepared All Wheel Drive 1997 Mitsubishi. 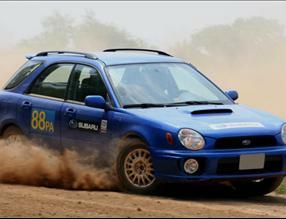 Carlos Sanchez took Stock All Wheel Drive in his 1996 Subaru.Modified 4 Wheel Drive was taken by a 1995 Subaru Impreza driven by Tom Boyett. And Modified 2 Wheel Drive was the largest class with 4 entrants and won by John Schellenberg in his 1992 Nissan Sentra SER. A shout out to our good friends at Steeda Autosports for allowing the use of their facility and grounds. Photos are posted on the Dixie Forum along with the full results. Dixie Equipment Trailer Stolen ! December 12, 2009 - The December Allies vs. Axis Solo event was a great success but unfortunately a week after the Dixie equipment trailer was stolen the weekend of Dec 12th despite being locked and stored in a secure location. The trailer and the entire contents was taken – over $15,000 worth of cones, Race America timers, blower, generator, loaner helmets and other Solo event equipment including over 480 rolls of toilet paper to be donated to The Shelter for the homeless in Tallahassee. The Dixie Region was unable to obtain insurance on the trailer so the theft is a total loss. All of the equipment will need to be replaced. Despite the loss the Dixie Board intends to be ready with enough replacement equipment in time to host our next Solo event on January 24, 2010 at South Georgia Motorsports Park. If you would like to help the Dixie Region get back up and running, donations are gratefully accepted. Checks can be made out to “Dixie Region SCCA” and sent to Dixie Region SCCA - Equipment Fund, P.O. Box 38561, Tallahassee, FL 32315-8561. 12-19-09 - South Carolina SCCA Region announced a generous donation to the Dixie Region Equipment Fund of $1000, their old RaceAmerica base timers and proceeds from their January Solo event fun runs. A big thank you to South Carolina Regional Executive Nick Hallman, thier board and region posted on the SC Region Forum. 12-24-09 - The Dixie Board authorized today the acquisition of replacement essential solo equipment that includes 350 cones, fire extinguishers, timers, a timing printer and miscellaneous items (arm bands, first aid kit, trash bags, etc.). Fortunately our timing laptop and 6 new loaner helmets where not included in the theft. Our delightful registrar/timing chief Tracy Lewis has offered to make replacement worker flags, as she has done before. This acquisition was made possible in part from the generous donation from the S.C. region, along with smaller anonymous donations, and some savings on hand by the club. We will need to raise more money to replace additional equipment and eventually a vehicle of some sort to store and transport the equipment. The Board is also working on a fundraising campaign for 2010 to get us there. In the mean time we will have enough equipment to start the 2010 season without delay! We may have been knocked down but are certainly not out. 1-6-10 - The Dixie Membership voted to hold $2 fun runs after Solo events to raise money for the equipment fund. 1-24-10 - A little over one month after the theft of the Solo equipment and trailer, we held our first 2010 Solo event. We could not have done it without the hard work of the Dixie Board, the club members, and the many generous donations from members and friends. We're back! 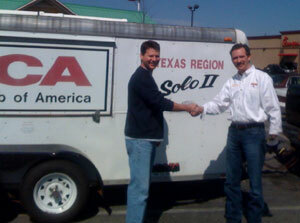 2-27-10 - A big thankyou to the Texas Region SCCA who donated and delivered their old 7 X 14 trailer to Dixie Region. Robert Lewis and Russ Clark drove 6.5 hours to Mississippi to meet the Texas Region RE to pick up the trailer. 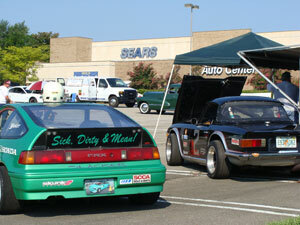 March 2010 - For the third year in a row the Tire Rack® SCCA Solo National Tour begins at Dixie Region on March 13 - 14 at South Georgia Motorsports Park. Over 300 entrants are registered for the weekend Solo event - 306 as of March 4th. 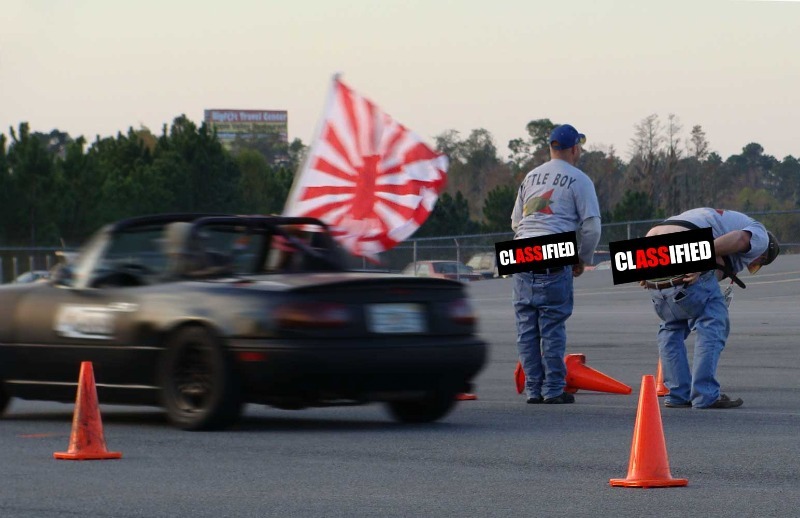 A test and tune, an Evolution Performance Driving School, and a welcome party will be held on Friday, March 12th. Runs begin Saturday morning March 13th and end on Sunday the 14th. For more information and a complete 2010 schedule of the Tire Rack SCCA Solo National program, visit SCCA National Tour Solo website. 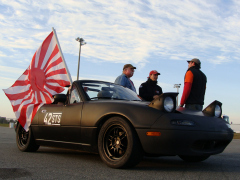 January - March 2010 - The Sports Car Club of America has released schedules for the 2010 Tire Rack® SCCA Solo National Tour and the Tire Rack SCCA ProSolo National Series. 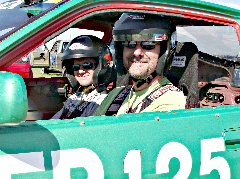 The 2010 Tire Rack Solo National Tour makes stops at all the classic autocross destinations. For the third year in-a-row, the Tire Rack Solo National Tour will begin with the Dixie National Tour in Georgia on March 13 - 14, 2009 at South Georgia Motorsports Park in Cecil, GA.
February 2010 - Dixie Region is planning to run limited RallyCross schedule in 2010 with the first event set for February 28, 2010. 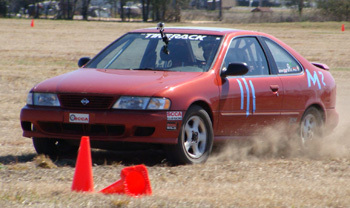 SCCA RallyCross is a timed event that involves solo driving on grass or dirt. Steeda Autosports has authorized use of the large field behind their manufacturing facility in Valdosta, GA . The 1.2 mile track will be cut out on the Steeda 25 acre property. For more information and discussion visit the Dixie Forum. Registration for the February 28th RallyCross is available at MotorsportReg. Thank you to our good friends at Steeda Autosports for allowing the use of their facility to host this RallyCross. The remaining 2010 RallyCross event schedule is pending. January 2010 - Dixie raised a significant amount of toilet paper and cash at the Allies vs.Axis event last December 2009 for our annual charity, The Shelter for the homeless. The toilet paper was stored in the equipment trailer and unfortunately lost when the trailer was stolen the following week. Thanks to a corporate donation from GTO, an addional $200 from the Marko Horn with the cash raised from the event enabled Dixie to purchase nearly a month's supply of industial rolls to the The Shelter. 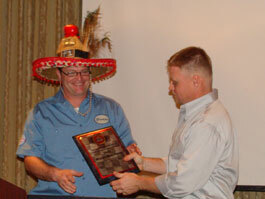 January 2010 - Class Champions for the 2009 Dixie Solo season were announced at the January 16th awards banquet. 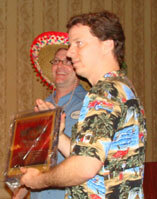 Top honor of 2009 Driver of the Year goes to Chris Yearwood for winning the most points during the 2009 season in his E Stock Mazda Miata (pictured at right). Other class winners include Andrew Millett in A Stock, David Upchurch in A-Street Prepared, Tracy Lewis in C Prepared, Toni Pinon in C Stock, Robert Mayfield in C Street Prepared, Edward Raiford in D Street Prepared, Byan Batchelor in E Prepared, Mark Hohmeister in E Street Prepared, Shane May in Formula Junior B, David Mathews in F Stock, Peter St. Pierre in G Stock, Steve Seymore in H Stock, Robert Lewis in Pro, and Rob Ippolito in Street Modified. The Member of the Year was awarded to Bryan Batchelor (pictured at left) for his dedication and tremendous volunteer work for the club including the Solo Chair and director on the board. The Worker of the Year went to Rob Ippolito (pictured below with Mike Lollar, RE) for his efforts with media relations, the website and as a director on the board. 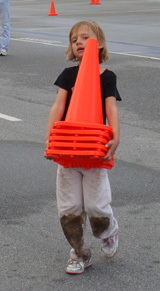 There were plenty of now infamous gag awards handed out as well including Cone King to Bryan Batchelor for hitting a record 45 cones during the 2009 season. 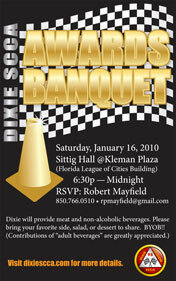 January 2010 - It's that time again for the Annual Dixie Region Awards Banquet. 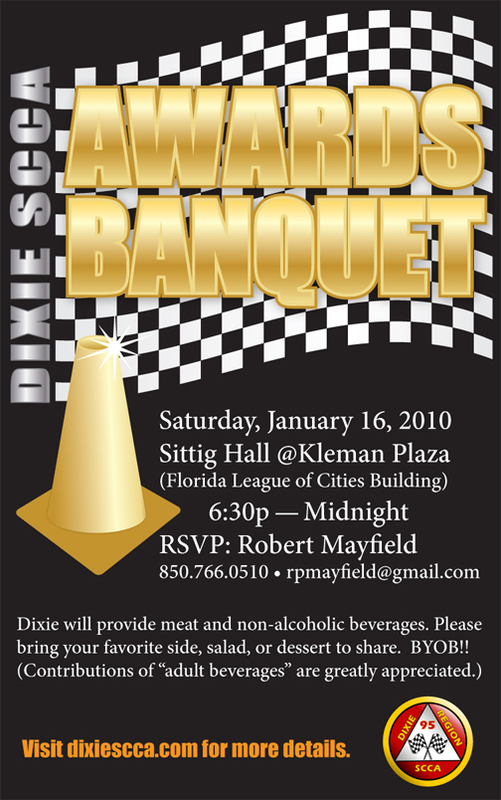 Dinner and awards for the 2009 Dixie Region Solo Championship Series class winners, member of the year, driver of the year, worker of the year, cone king, and of course special gag awards, too. Saturday, January 16, 2010 from 6:30 pm - Midnight at Sittig Hall in Kleman Plaza. RSVP via email to Robert Mayfield or by phone, 850.766.0510. Dixie will provide the main dish meat and non-alcoholic beverages. Please bring your favorite side dish, salad, or desert to share. Due to Dixie finances, this year will be a BYOB affair. Directions to Sittig Hall posted on the Dixie Forum. Summer 2010 events are being planned for Spence Field in Moultrie, GA.
Go to the Events Schedule for information about online registration. December 2009/January 2010: Dixie Region members elected the 2010 Board at the December membership meeting. 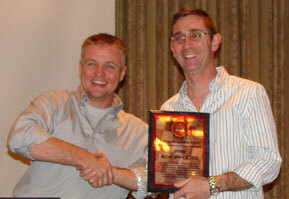 Mike Lollar - Regional Executive, Russ Clark - Asst. R.E., Tom Austin - Past R.E., Robert Mayfield - Secretary, J.K. Jackson - Treasurer, Bryan Batchelor - Director, Jamie Bell - Director, Tracy Lewis - Director, Rob Ippolito - Director, Robert Lewis - Director, Chris Yearwood - Director. November 2009 - January 2010 - The PAX times have been recalculated for 2010 and are posted by the SCCA Chicago Region. Compared to 2009 all PAX indexes have increased with the exception of FJC which dropped .006. 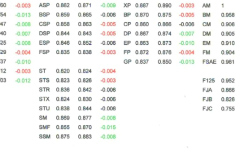 The largest increases in PAX indexes are in AS, BS, GS, FSP, STX, STU, SM, SSM, XP, DP, EP, GP, BM, CM, DM, EM and FJA. We'll notice faster PAX times in the indexes with the smallest increase - HS, CSP, CP, F125 and FJB. All other classes have moderate increases in PAX indexes for 2010. 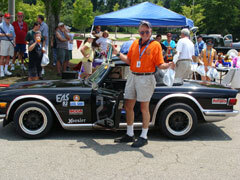 The PAX (Professional Auto-X) Index has been used by SCCA and other clubs for years. You may notice a PAX time listed on the results page. It is a handicapping system that attempts to account for performance differences between car classes, allowing the drivers' performances to be compared. A PAX factor is assigned to each class; the faster the class, the higher the factor. The fastest cars have a PAX factor of 1.000; other PAX factors are a percentage based on performance potential relative to the fastest cars. Each driver's actual time around the course is multiplied by their car's PAX factor to calculate their PAX time. This PAX time is also called their indexed time or factored time. PAX times can then be compared across classes.